Way back in the day, the reviewed the 5cc‘s other branches in a blog post (Click HERE for Review!) – but the launch of the new Singer Tavern, 1 City Road venue demands another look with a total change of the 5cc vibe! 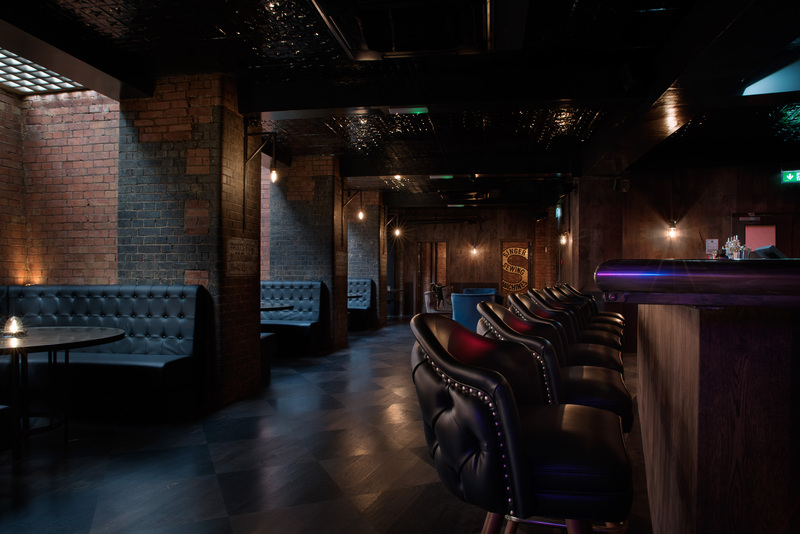 Which I mean, kinda like its Hoxton brother, this venue is much bigger than the elder siblings – more than enough space to easily fit a 100 guests, with massive booths, couches, and even a semi-private room. And space to dance! Walking down the stairs from the Singer Tavern (yes, Singer as in the sewing machine company, and the venues décor won’t let you forget that) – the Hoodooist is greeted with Screamin’ Jay Hawkins blasting on the stereo – a volume level that never really goes down, which makes it great for a night out – not so much for private conversation. Come here for an evening out with a group of friends, not on a first date. This manifestation of 5cc takes on the crypt-like surrounds of the Bethnal Green venue, as well as the modern décor of the Farringdon branch, with the Hoxton spot’s upbeat tempo – definitely an after-work spot. As for the cocktails, we’re seeing many updates from the slightly more demure 5cc standards. The Montgomery is one of the most classic cocktails served: a Dolin dry vermouth based gin Martini using No.3 Gin – served short and fairly wet (at least for the Hoodooist). Easy drinking for a Martini, No.3 has to still be one of the Hoodooist’s favourite Martini gins, simple, crisp citrus with powerful juniper. The Dolin is a game changer though, with a potently floral and sweet flavour – which made this drink rather divisive at the table, some enjoying it, others turning away pretty quickly. 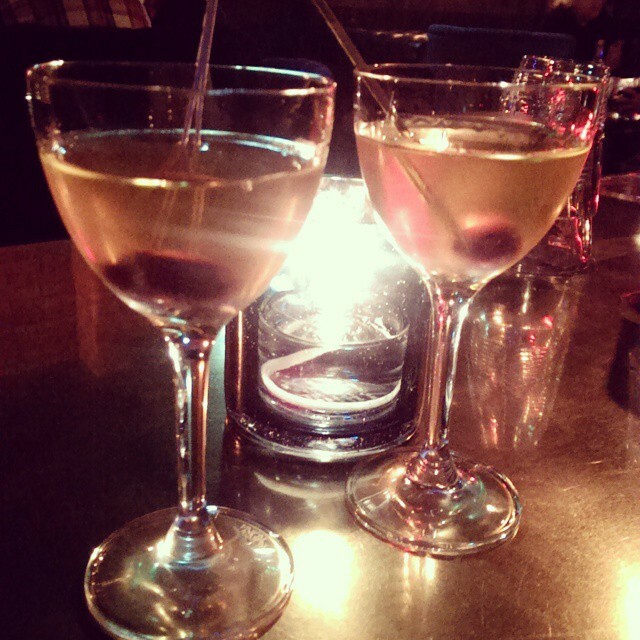 If you’re a Martini fan, consider the sweetness of the Dolin, and go for it if it works for you! Along the short and Martini-esque route, the Saints & Sinners is closer to a dry twist on a classic Hanky Panky. Dictador aged gin and Lillet Blanc, mixed in with Fernet Branca and vanilla bitters, garnished with an olive. I… have no idea what this cocktail is trying to achieve. Now, the Hoodooist has used the Dictador aged gin in a basic gin Martini with Lillet Blanc before with pleasant results – however this goes in a totally different route. If you haven’t come across this gin before, it made the controversial decision to age the gin for 35 weeks in rum barrels to provide a rounder, sweeter flavour. Instead we get this bizarre confused mix of dry flavours that were just difficult to decipher. Universally abandoned at the table. Then came the East End Old Fashioned: Elijah Craig 12, lapsang souchong cordial, chilli and orange bitters. I think the lapsang souchong cordial and chilli were meant to complement the Elijah Craig 12’s slightly spicy and fruity character, but instead, making the tea a cordial left the cocktail a bit flat. There seemed to be a hint of spice that stops short. Unfortunately, it comes off a bit ineffectual and unmemorable. For a longer drink though, the Knock Out does the trick: ELLC Demerara rum, lime, strawberry and blackberry cordial, topped up with soda (seemed more like ginger beer?). Now, if you’re thirsty, this would be it. It may not be the Hoodooist’s style, but it does its job and a sweeter thirst-quencher. It’s nice to see the East London Liquor Company’s Demerara rum! 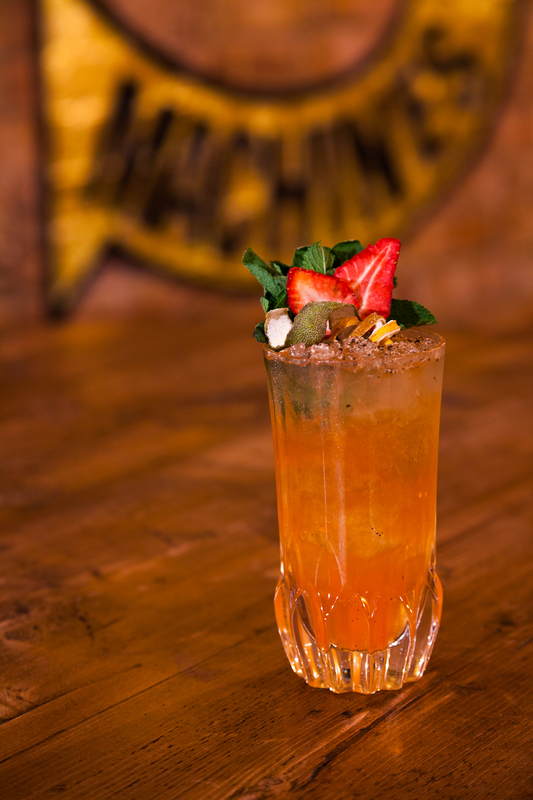 With a hint of vanilla and woody flavour, the rum works well with the ginger beer – and surprisingly well with the berries. If you want a simple long drink, this would be it. Finally, Frida’s Tropical Margarita: 1800 coconut tequila, lime, pineapple and chipotle cordial with coconut and salt rim. When it says ‘tropical’, it ain’t kidding. However, again, the cordial-isation of the ingredients leaves it a bit flat, and what was agreed on was that the most exciting part of the drink was the coconut rim. The Montgomery and Knock Out seem to do exactly what they mean to – but also have the simplest combinations when you look at them. The two cordial drinks, the East End Old Fashioned and Frida’s Tropical Margarita, somehow go a bit flat on flavour. The Saints & Sinners, at first glance, has a problematic combo of flavours (The Minestrone Cocktail effect, as Alessandro Palazzi would put it). So with a keen eye, you’d actually be able to spot what would work and what doesn’t – though probably easier said then done, as witnessed by the East End Old Fashioned, which sounds good in theory. 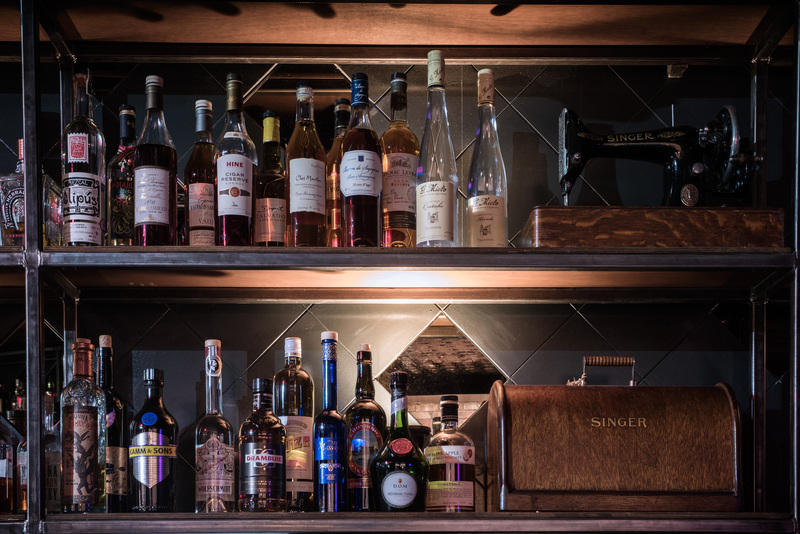 However, you shouldn’t have a problem getting a cocktail tailored to your tastes, since the service at the bar is wonderful – although do keep in mind that this is a bar that can certainly get rather busy! But like we all know, a busy bar means a more effervescent atmosphere to find yourself partying in, and a space to dance is what too many cocktail bars in London are lacking. This entry was posted in Bars & Cocktails and tagged After Work, Basement, Large Groups, Party, Small Groups, Speakeasy.